Finally, backpacks are implemented using addons that will be great news for those who have a lot of loot and do not know how to drag it. 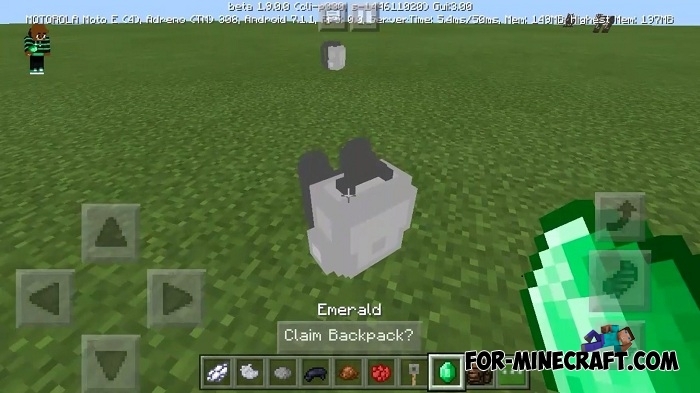 First of all, the backpacks in Minecraft Bedrock Edition more than once were created only as modifications, but only until today. Now you can download this addon for almost any version of MC with the exception of outdated versions such as 1.1 and older. What is a backpack and how does it work? In fact, backpacks are a great help in a variety of situations. The most frequent is when you do not have free slots in your inventory and you do not know where to put extra things. In such cases, backpacks can be an extra space for a wide variety of loot. To understand how to get and open the backpack, watch the video below. 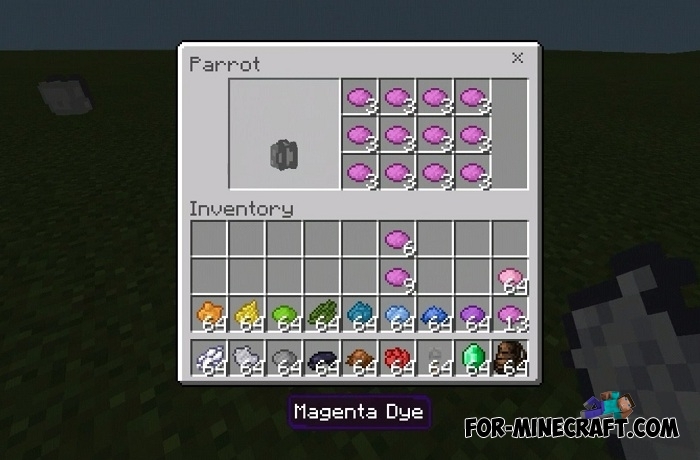 Or find a backpack in the world (if survival is chosen) and tap on it with a dye to claim and open it. After that, go closer to the backpack so that it attaches to your back. 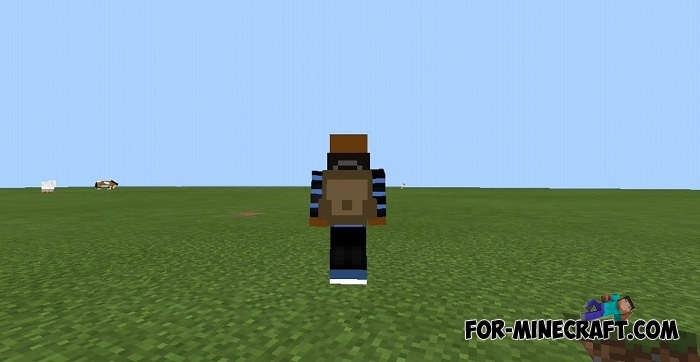 This addon has one feature, other players (if you are on the server) can open your backpack and take things from there, so you will need a hook to keep the backpack closed, keep in mind. How to install the Vanilla Backpacks addon?